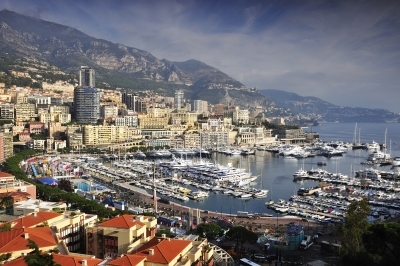 MONACO (Reuters) – The global financial crisis has barely started and is likely to last for at least another 15 to 20 years as major economies cut debt levels, according to Jamil Baz, one of Europe‘s most prominent hedge fund managers. Baz, chief investment strategist at GLG Partners, told the GAIM 2012 conference in Monaco that total debt levels in a number of major economies had actually risen since 2007 and had much further to fall before reaching “a semblance of equilibrium”. “This crisis has not even started. It will take an extremely long time to reach its peak velocity, and by a long time I mean at least 15-20 years,” Baz, who co-manages GLG’s Atlas Macro fund, told delegates on Tuesday. His comments come as indebted countries in Europe and elsewhere battle to cut spending and boost growth to try and reduce debt and convince investors to continue buying their bonds. On Tuesday Spain was forced to pay a euro era record price to sell short-term debt on Tuesday. Greece, meanwhile, has been brought back from the brink of default by Sunday’s parliamentary election that has cleared the way for a renegotiation of the terms of its bailout package. Baz said that total debt to GDP in G7 countries as well as Spain, Portugal, Ireland and Greece had risen over the past five years from 380 percent to 420 percent. To get to debt to GDP levels below 200 percent, at a rate of deleveraging of 10 percent a year, there will be “at least 20 years of deleveraging, assuming countries can do it diligently year in, year out, at great risk to their political and social stability”, he said. Baz was at odds with the thinking of many fund managers by saying that equities look expensive compared with bonds. He estimates that the implied equity risk premium – the extra return the stock market must provide over the return on government bonds to compensate for market risk – was likely to be less than 3 percent, below current consensus. However, he said that corporate debt was being priced far more cheaply in bond markets than in equity markets. GLG is part of Man Group, Europe‘s largest hedge fund manager.